Cottage Style...hummmmm , sometimes I just have to ask the question: what does that mean? I suppose it can mean many things to many people, but to me the idea has me dreaming of owning a farm house somewhere in the hills with lots of green grass and wide open spaces. A very large wraparound wooden porch with white wicker chairs, very soft cushy cushions with gorgeous fabrics await you, just begging to be sat on. Fresh squeezed lemonaide in a vintage glass pitcher with vintage unmatched glasses and large ice cubes on a tray. Hanging baskets of beautiful plants with lots of greenery and color move in the breeze, birds chirping and flying about. This and so much more are what "cottage" means to me. I live in the desert, so I am as far removed from this image as one can get. But, I can dream, and dream I do. I create for you (and myself) beautiful pillows, sachets, dolls, towels and so much more to share my love of all things vintage and cottage style, with lots of rose fabrics, lace and buttons. I am a proud member of ECS and have made many wonderful friends here that I plan on keeping for a lifetime, if they will have me! We all have so much to share and this very talented and generous group of women have taught me much. I suppose I can try the patience of even the most patient person, but someone is always here to lend a ear, or a hand, or even an opinion if asked. To you I say thankyou, and thankyou for the cottage style, whatever that may be. Perfectly stated, and "desert cottage style" sounds very intrigueing to me! What a lovely description of cottage style! How come my blog is not listed? Very well said Char ! 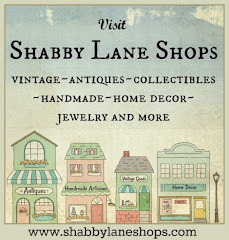 Oh no my shop is not on the list or my blog site. 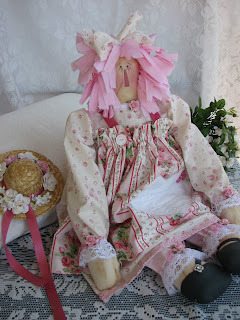 Save a refreshing glass of lemonade for me~your sister cottage style desert dweller! Isn't it true that the combined vision of CSSTeam is one and the same. And yet what create the magic, is those visions and daydreams are sprinkled with each member's own personal recipe of fairydust!